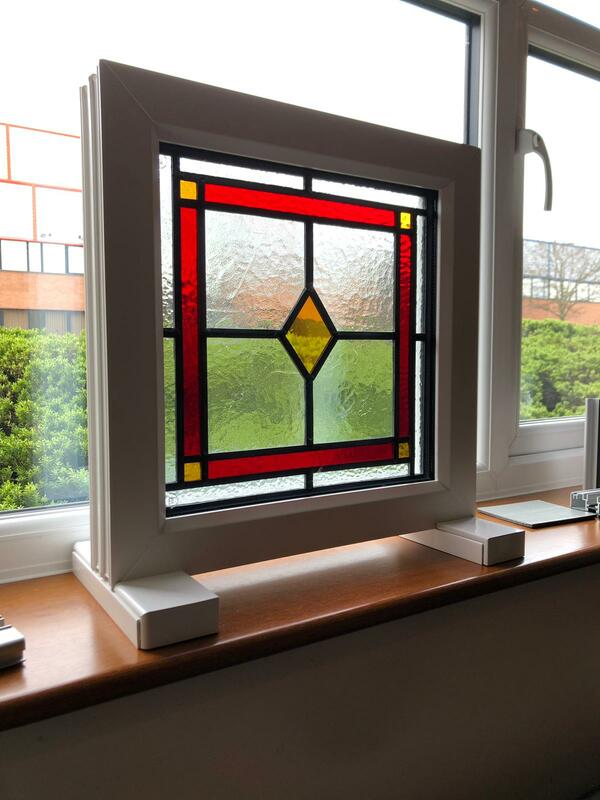 If you are lucky enough to own a property with beautiful original stained glass and you would like to retain this feature in your new windows then we are able to offer a very special service to achieve this. We can take your original glass and sandwich in between two new pieces of glass before inserting the new triple glazed sealed unit into our new UPVC frames. We refer to this specialist process as ‘encapsulating’. We carefully remove your original stained glass and temporarily board up your existing windows (usually timber) to maintain your home’s security whilst we take the original glass away to be worked on. We then carefully clean and restore the glass to it’s vibrant best. It’s always the case that the new window will be a different size to the original glass – this is because the new upvc frames will normally be larger than the original slimmer timber frames. Therefore we carefully replace the segments around the edges of the glass with the correct sized border to ensure a perfect size. As you can imagine – this is painstaking, intricate work. The original lead joins are often very poor as they and have become weak over time – so we take the time to re-solder the original lead joints as well so that your new unit is structurally sound. Once the new stained glass layer is re-worked we then sandwich it between two clear pieces of glass which means we are then able to glaze it in to our new UPVC windows. The new window is thermally efficient and secure as it is encapsulated inside a triple glazed unit – inside our thermally efficient, ultra secure, market leading UPVC window. The new window can be cleaned inside and out without fear of damaging the stained glass – which remains vibrant, colourful and clean as it is protected by the inner and outer skins of glass. If you have any questions on the above then please call us on 0121-451-2724 we would be delighted to answer any questions you may have.